Property developer TOGA has announced One Twenty Macquarie a $160 million residential tower set to soar 23-storeys over the state's second largest business district - often billed Australia's silicon valley. Designed by Turner architects, One Twenty Macquarie will be the latest addition to Herring Road; a thriving boulevard at the centre of the NSW Government’s Priority Growth Areas and Precincts Program. One Twenty Macquarie will feature unique architectural ribbons forming a statement linear facade and comprise 196 luxury apartments plus premium amenities including a gymnasium, a theatrette, landscaped gardens, parking and a stylish retail café at its ground level. TOGA Development and Construction Chief Executive Fabrizio Perilli said One Twenty Macquarie epitomised TOGA’s vision to deliver sophisticated living at the heart of a thriving economic centre. “One Twenty Macquarie will rise above Macquarie Park to be a focal point on the skyline,” Mr Perilli said. 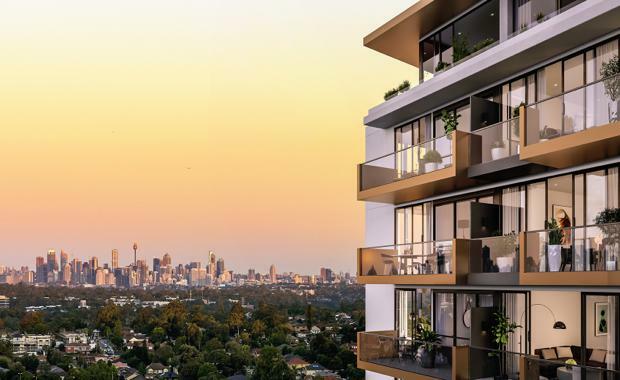 “This quality development will offer buyers the chance to capitalise on Macquarie Park’s exceptional growth as the city’s population climbs, employment and education opportunities expand and existing infrastructure improves,” he said.